Intellasia East Asia News - N Korea launched no missiles in 2018. But that isn't necessarily due to Trump. N Korea launched no missiles in 2018. But that isn’t necessarily due to Trump. 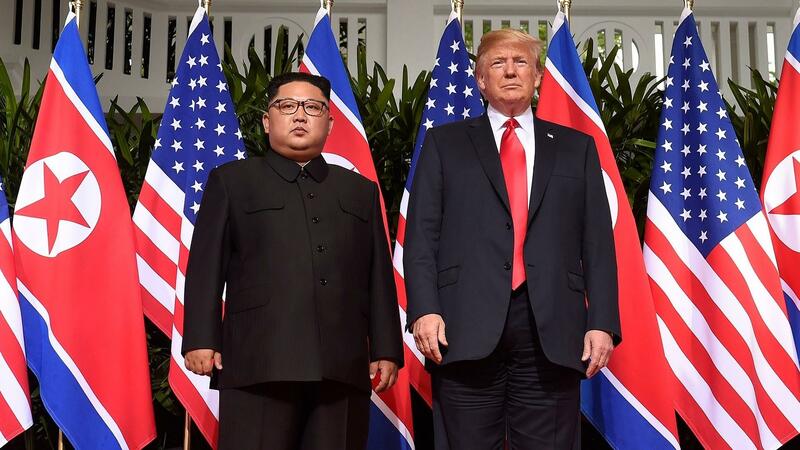 North Korea didn’t carry out any missile or nuclear tests in 2018 an apparent vindication of President Donald Trump’s unconventional foreign policy approach. Before and after Trump’s election and inauguration, North Korea was conducting a flurry of nuclear and missile tests. The drumbeat reached a peak in 2017, when Kim Jong Un’s regime launched its first intercontinental ballistic missiles theoretically capable of striking the United States mainland. It also tested its most powerful nuclear weapon to date, which it claimed was a miniaturised hydrogen bomb. Then it all stopped. North Korea conducted its last nuclear test in September 2017 and its last missile launch a month later. Trump has gone from ridiculing Kim as “little rocket man” to saying he “fell in love” with the young dictator. “The missiles and rockets are no longer flying in every direction, nuclear testing has stopped,” Trump told the United Nations general Assembly in September. The president has pointed to this as evidence that his strategy to defang Kim’s government is working. However, many experts point out that although the eye-catching weapons displays may have ceased, other more subtle parts of North Korea’s weapons programme continue apace. Tests are only part of the story. “Kim has not changed his policy… but claims that he’s now moved from research-and-development and onto mass production,” said Cristina Varriale, a research fellow at the Royal United Services Institute, a London-based think tank. This transition from testing to production should come as no surprise it’s exactly what Kim told the world he would do at the beginning of the year. At the current rate of production, North Korea could have around 100 warheads by 2020 almost half the size of the UK’s stockpile, according to Robert S. Litwak, senior vice president of the Woodrow Wilson International centre for Scholars, a Washington think tank.